The programmable hand mic allows additional programming and functions such as channel scanning, power level selection, squelch adjustment, keypad lock, scan skip, time-out-timer, and more. And, if you’re riding at night, you can switch on the microphone backlight to illuminate the keypad. The RM-60 has more features than you’ll probably ever need, but all these options are what makes the RM-60 such a strong and versatile 2-way mobile radio. 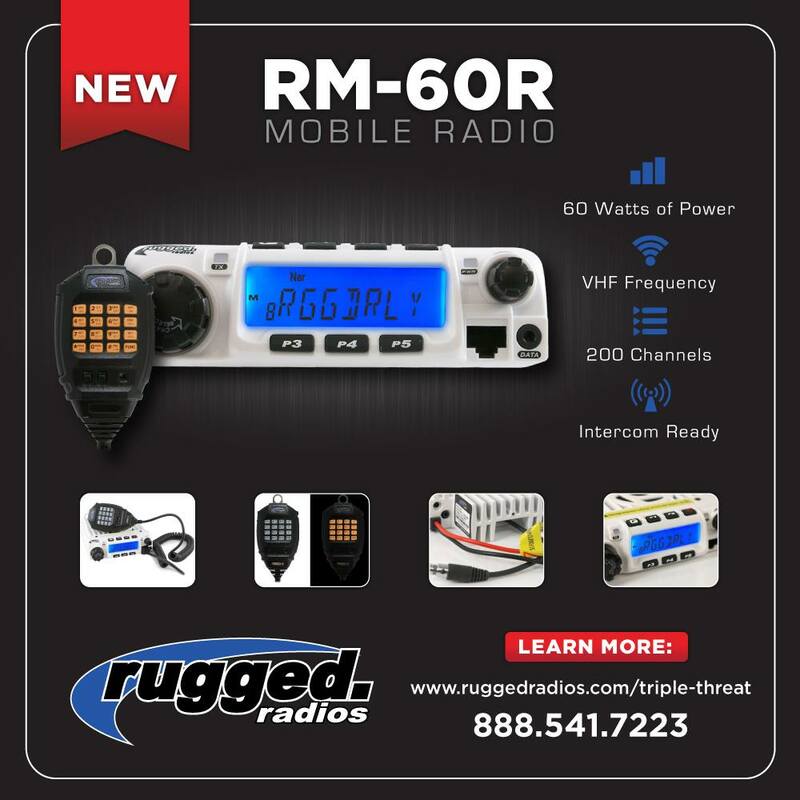 Whether your prerunning the next desert race, or exploring the Dunes in Glamis, the new RM-60 Radio is the perfect choice to stay in contact with friends and family. Work, Race, Play… Rugged Radios is the Authority in Communications!